So I'm pumped about this. 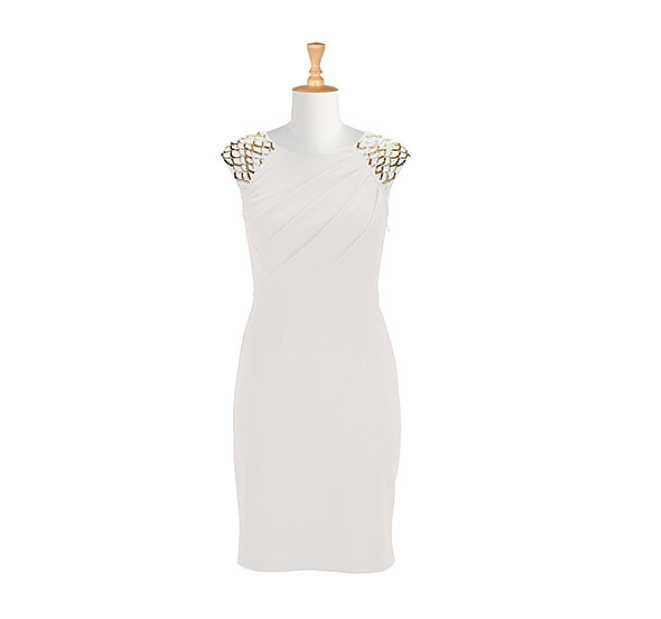 I felt bad that the sequins dress was sold out when I posted it and I was thinking about how can I give mine away. I'm constantly bringing new things in and this item, for me, was a wear it once type of deal. I've worn it, I loved it, now it's time to give it a new home. So when Swapdom approached me to write about their new website, I thought this the perfect opportunity to swap some of my old fun stuff, including my Christmas Card Dress, for some new fun stuff. 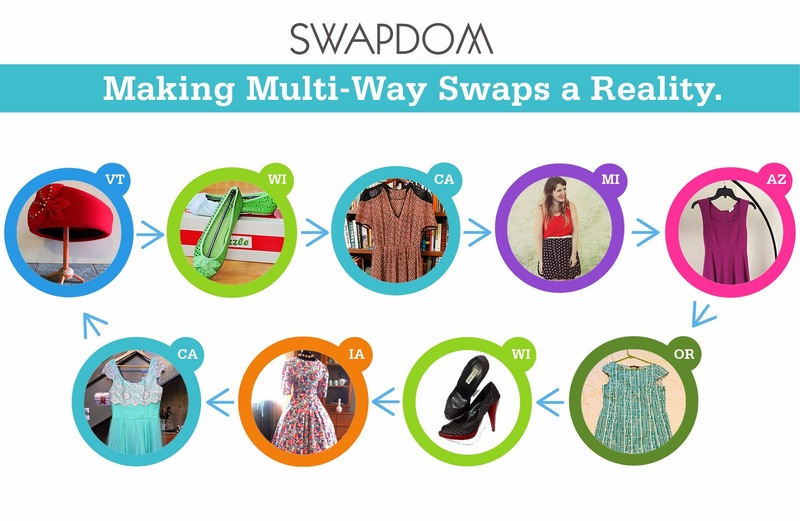 Swapdom is a free swapping site that allows you to exchange your items for some new. This isn't your traditional swapping though. Swapping is done in a round robin fashion. See the illustration below. Swapdom does all the work for you. Just list the items you want to swap, search community items, request which ones you want, and watch the magic happen. From a plus size perspective, this is a real gem. Since we are a largely online shopping community that can sometimes get stuck with items that we don't want. This offers a place to exchange some of those items and get something that will work. 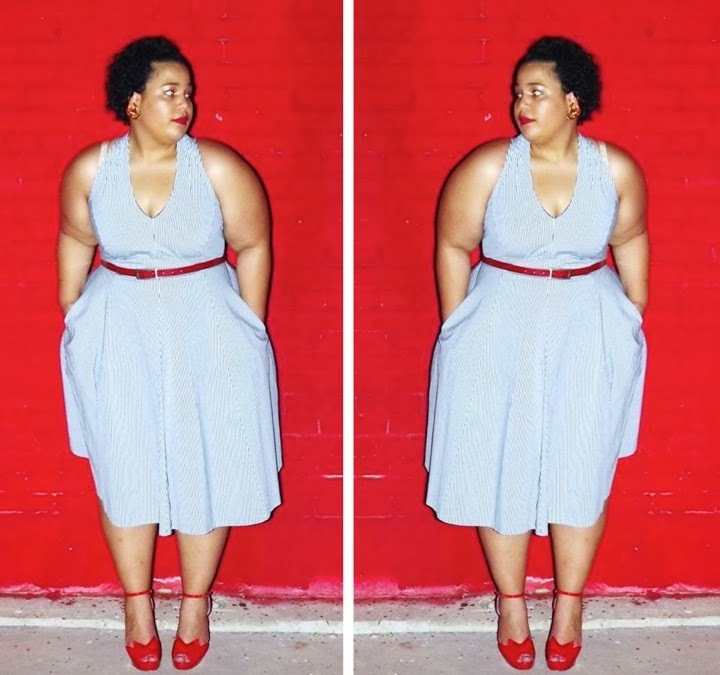 Imagine a community full of plus size swappers with fabulous items up for grabs. Who doesn't love that?!? 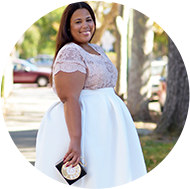 Searching for plus size items are made easy, once you're registered and start a swap, you can filter by size. All you do is click on "start a swap" then browse or search for items you want and offer yours in exchange. 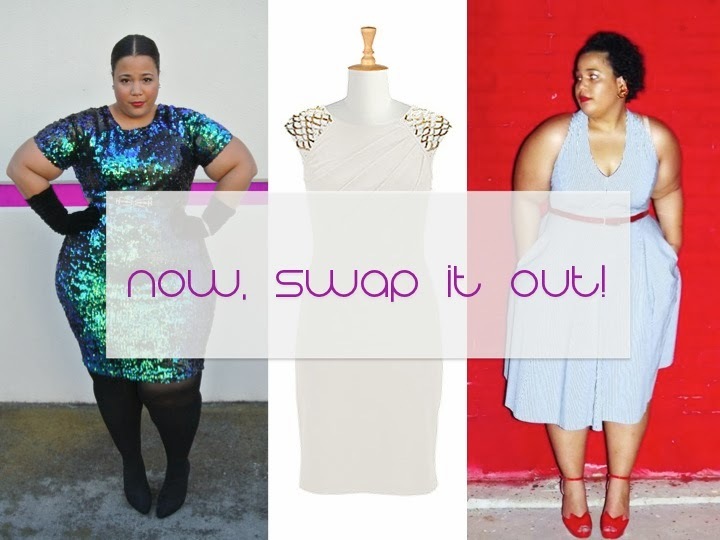 Get in on the swapping here by joining Swapdom today! Sequins Dress: As seen in the Christmas Card Post - Find it on Swapdom here. Dress originally from eShakti - Find it on Swapdom here. Striped Dress: As seen in the Reddy Post - Find it on Swapdom here. The post was sponsored by Swapdom, opinions are 100% my own. 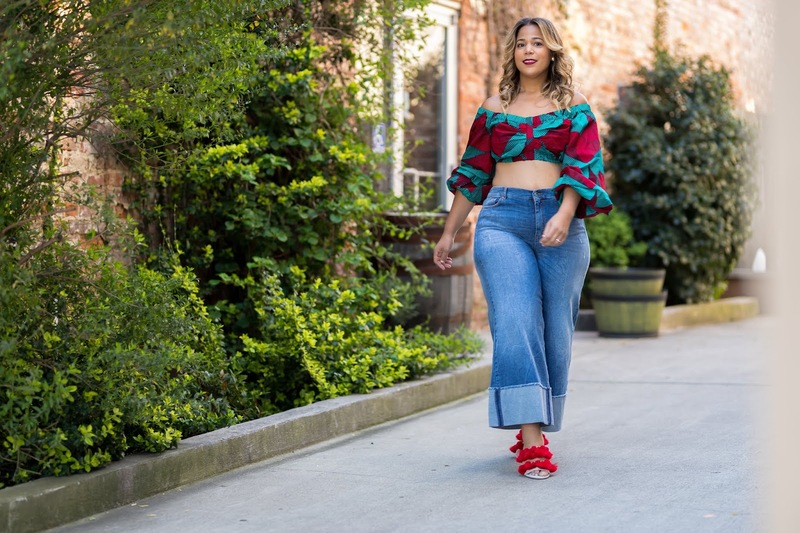 There is tons of good plus size stuff on their now. Quite a few people have put up some fab item!!! So pumped! I think this is a great idea! This really gives me incentive to clean out my closet and make some decisions. Thanks so much for the post. What a great idea! I didn't know there was something like this.